The old-school ideas of economic theory will ensure that Socialism collapses and very hard at that. The German influence upon Europe has infected the mindset of most northern Europeans. 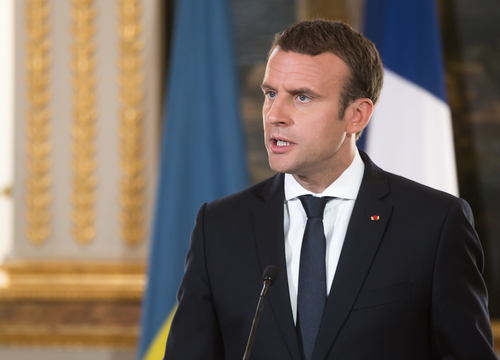 French President Emmanuel Macron has come out an made public debt one of the key points of his policy. Macron is supporting austerity and thus the EU’s guidelines. The French statistics office, Insee, reported that net borrowing during 2017 for France was 2.6% of GDP. The worker unions, in general, are starting to mobilize. Public debt is still high and employee protection is now severely limited and this is a dangerous cocktail that will inspire French civil unrest. Nevertheless, France has been criticized by the EU for its high level of new debt within the Eurozone. Thus, the country had twice been given more time to fix its budget. Under the Maastricht Treaty, the new debt of an EU state may not exceed 3% of GDP. New borrowing last year was 3.4%. The entire problem here is the theory that an increase in the deficit spending will be inflationary. Yet after nearly 10 years of Quantitative Easing, this entire theory has been proven to be just nonsense. There are so many loaded assumptions hidden at its core that one must wonder how rational people still believe in a theory that cannot be proven by history. France is where the entire theory of Communism began. It was the French Communists who persuaded Karl Marx to abandon pure socialism. With Macron embracing austerity and the guidelines of the Maastricht Treaty, we are watching the gradual collapse of Socialism. All the promises of government to provide the safety-net are crumbling before our eyes. Austerity supports the bondholders against the people. This will also fuel the rise of class warfare as we head into 2022.